Mr. Barry has a broad-based business litigation practice with a focus on trusts, estates and real estate. In his career, Mr. Barry has experience representing individuals, small businesses and multi-national Fortune 500 companies. Currently, he focuses on mid- to high-net worth trust and estate litigation. After years as a partner of a Century City law firm, Mr. Barry moved his practice to Barry Law Group to join his father and brother in January 2016. For two years, Mr. Barry has been selected by his peers for inclusion in The Best Lawyers™ in Southern California 2018 in the field of Litigation – Trust & Estates. 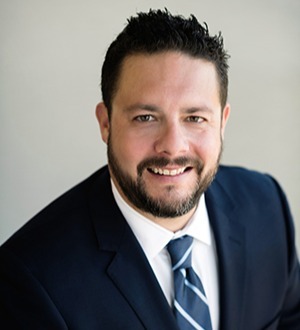 From 2009 through 2016, Super Lawyers Magazine named Mr. Barry a Southern California Rising Star, a designation bestowed on only 2.5% of the attorneys under the age of 40 in Southern California.